The speech that Kevin Durant gave after winning the MVP award in 2014 was the defining moment of his career. It was an honest representation of who Durant is as both a player and person, and the emotional nature of it made it a personal moment that he was willing to share freely with his fans, and with the NBA community at large. Not surprisingly, Nike Basketball used this as a jumping off point for a special colorway of Durant’s latest line of signature sneakers, the KD 8. “I just wanted to share my story and make a statement with what I said along with what I wore,” Durant said, via the official release. The folks at Nike Basketball do a great job of telling the story behind each of their signature athletes, and Durant and his MVP speech are no exception. Crafting a colorway around this narrative makes perfect sense, because the speech he gave transcended basketball, and gave sports fans everywhere an inside look at what a truly special individual Durant really is. 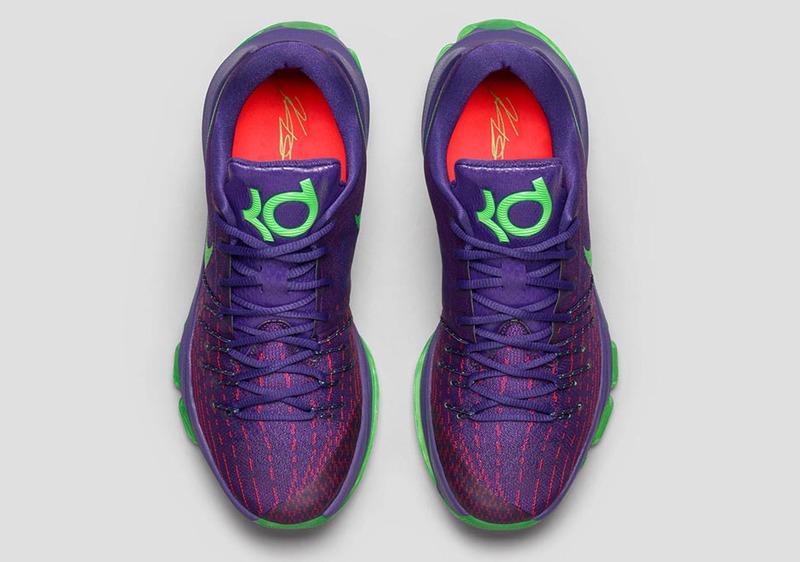 The KD8 “Suit” is available Aug. 14 at Nike.com and select global retail locations.